ZIM vs AFG 2017 Live Score Streaming Ball By Ball Highlights 16th February Result :- After 10 overs, Afghanistan is 28/1. Noor Ali Zadran and Rahmat Shah managed to steady the ship after losing Shahzad.Also, the Zimbabwean bowlers have kept the scoreboard in check. Tendai Chatara has bowled a superb spell to play the perfect foil to debutant Richard Ngarava. The visiting side has won the last two exchanges against the home side and is one spot ahead in the ICC ODI rankings as well.The series against Zimbabwe puts Afghanistan in a unique position of being pre-series favourites, if only marginally, against a Test-playing team. Since the 2015 World Cup, Zimbabwe has played 36 One-Day International winning nine and losing 24.While Afghanistan has won ten of its 19 ODIs during this period. 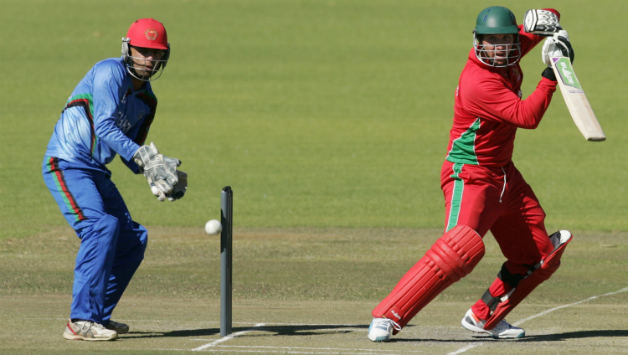 That’s a better record than that of the home side, but Afghanistan can imagine taking it easy when the two teams meet for the first of five ODIs in Bulawayo on Thursday. Afghanistan: Rahmat Shah, Asghar Stanikzai, Mohammad Shahzad, Noor Ali Zadran, Ihsanullah Janat, Hashmatullah Shaheedi, Samiullah Shenwari, Najibullah Zadran, Mohammad Nabi, Rashid Khan. Zimbabwe- Elton Chigumbura, Graeme Cremer, Peter Moor, Nathan Waller, Ryan Burl, Sikandar Raza, Malcolm Waller, Wellington Masakadza, Donaldo Tiripano, Tarisai Musakanda Tendai Chatara, Christopher Mpofu, Craig Ervine, Solomon Mire, Carl Mumbai, Richard Ngarava. The players are in the middle. Mohammad Shahzad and Noor Ali Zadran will open with the bat for Afghanistan whereas Tendai will start the proceedings with the ball for Zimbabwe. However, due to most of the television feed, there won’t be ball-by-ball commentary for this match.